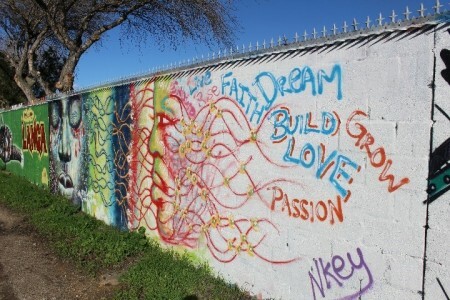 Research has demonstrated a connection between graffiti and its role on social attitudes, customs and resident perceptions. While these artful expressions, for some, are a nuisance, for others, they are high quality works of art. This “globalized art form” offers artists—many of which have achieved international fame—an opportunity to use their work on non-traditional public spaces as a medium to provide socio-political commentary. While all street artists do not choose to use their artistic abilities for political and social critique, a large number do. Urban street artists like Bansky, Swoon and Clet Abraham (as well as many lesser or unknown artists) use the urban landscape to offer social and political commentary, a means to offer physical and mental space to share this commentary and a dialogic critique. Recently, I have been paying particular attention to street art when traveling. While visiting many countries and states within the United States, I have noticed that street artists have been particularly deliberate in including political and social discourse in their work. 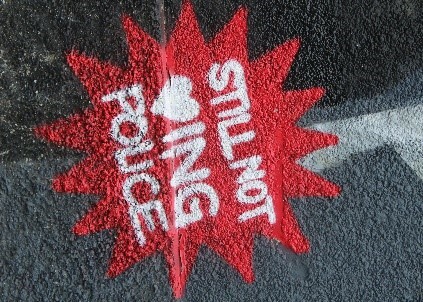 I began to wonder, what role does street art narratives play in the illumination of marginalized voices? The discussion below relates specifically to the political and social discourse embedded within street art in Italy and South Africa*. Over the last two decades, Italy has become the home of a thriving group of street artists, many whom have grown to international fame. Art can be found throughout the country and in cities including Florence, Milan, Bologna, Rome and Naples. 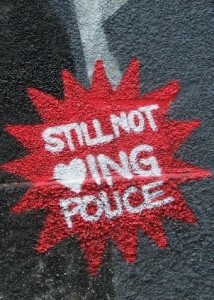 Perhaps the most prevalent political discourse stemming from Italian street art is that against law enforcement. Street art became quite popular in South Africa toward the end of apartheid in the late 1980s. While street artists in South Africa do not get the same global attention as those from the United States and Europe, the talent and embedded messages are no less striking. During a recent visit, I was lucky enough to spend some time in Langa, a township that was designated for Black South Africans during the apartheid era and one that remains almost primarily Black. Despite the township’s history of segregation and government control, street artists offer hope to those who view their work and embody messages promoting peace and unity. 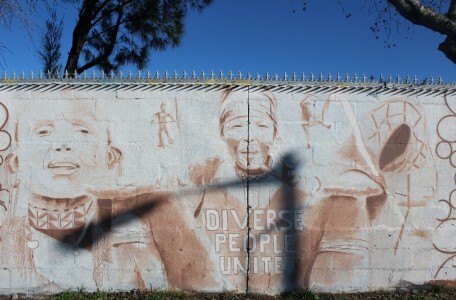 One such piece (Image 3) speaks to the many cultures that comprise the people of South Africa and calls for diverse people to unite. According to the 2011 Census, South Africans are categorized into five ethnic groups—Black African, Coloured, Indian or Asian, White and Other—with vast diversity within each ethnic group. The artist, in this case, reveres traditional cultures in their illustration and calls for unity with their words. This piece, especially when considered within the context and history of Langa, specifically, and South Africa, more broadly, serves as a constant reminder of both the struggles and triumphs of Black South Africans. Image 4 depicts an explicit message of love and endurance. The major portion of the image is dedicated to a weeping face, perhaps alluding to the blood and tears that have expelled from Black South African during apartheid. 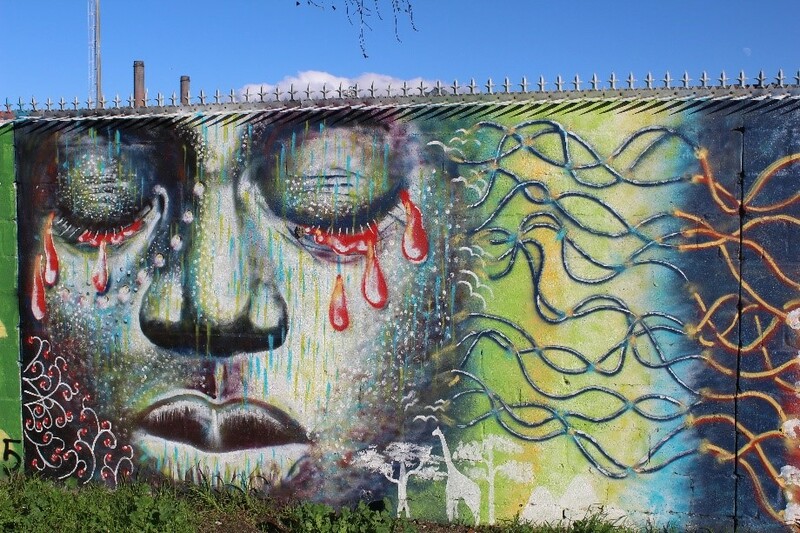 A second concerned face gazes upon the weeping face and is connected with the words “faith, dream, endure, live, rise, build, love, passion, and grow.” Here, the artist seems to be articulating the resilience and unbroken strength of the people of Langa. In both Italy and South Africa, artists have chosen to offer discourse through street art in such a way that it connects to wider environmental, social and cultural contexts to highlight the complex dimensions between people, place and issue. In many ways, these pieces work to give voice to marginalized and underrepresented voices. The next time you find yourself walking down the street, look at the art on the walls. Perhaps there are messages embedded within that are worth paying attention to. Author: Tia Sherèe Gaynor (preferred pronouns are she/her/hers) is an assistant professor in the Department of Public and Nonprofit Administration in the School of Management at Marist College. Dr. Gaynor’s research seeks to examine issues of social justice and equity within a U.S. and global context. Her scholarship can be categorized in 3 research streams: resident participation and engagement; public and social policy analysis and implementation; and pedagogy, learning, and instruction. *All images were taken by the author.